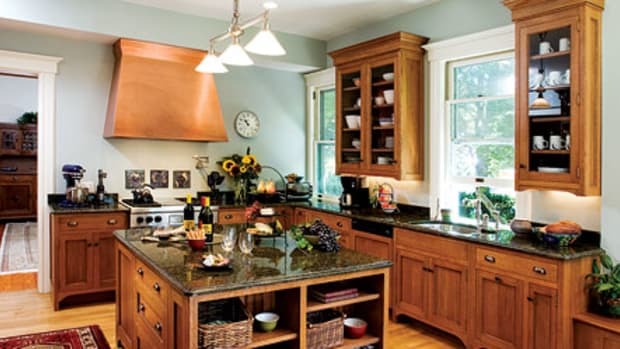 Here comes specific advice on how to conceal, restyle, or flaunt your refrigerator, stove, and dishwasher in a period-inspired kitchen. 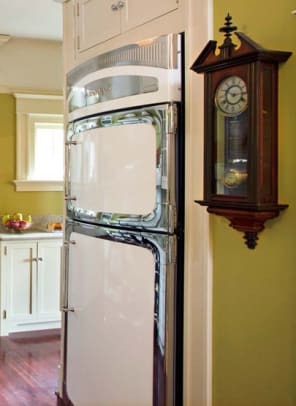 Besides embracing frankly modern, undisguised appliances, three schools of thought guide their selection and installation: (1) concealment, as by cladding or enclosing them in cabinetry, or, say, placing the main fridge in the mudroom; (2) nostalgic styling, as when a modern-functioning range looks like a nickel-embellished original; (3) going vintage—buying a period appliance (even if it is of a later date than the house) to impart a sense of history to the room. 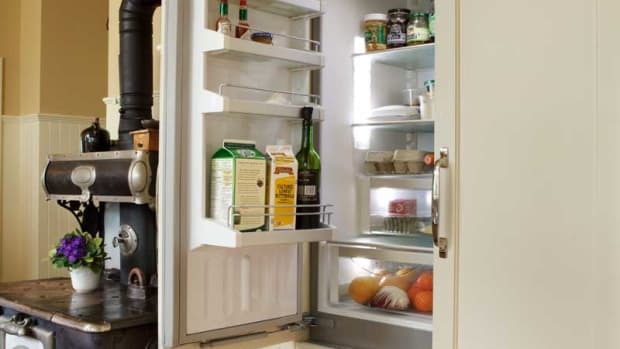 A few souls out there are still using ancient, monitor-top fridges (there’s probably a bigger backup unit in the basement); for a price, it’s even possible to retrofit a vintage icebox as an electric refrigerator. 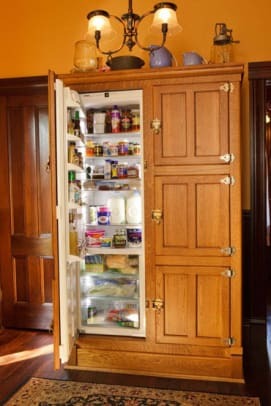 For the most part, though, owners choose to “veneer” the behemoth so that it looks like the rest of the cabinets (or an icebox). 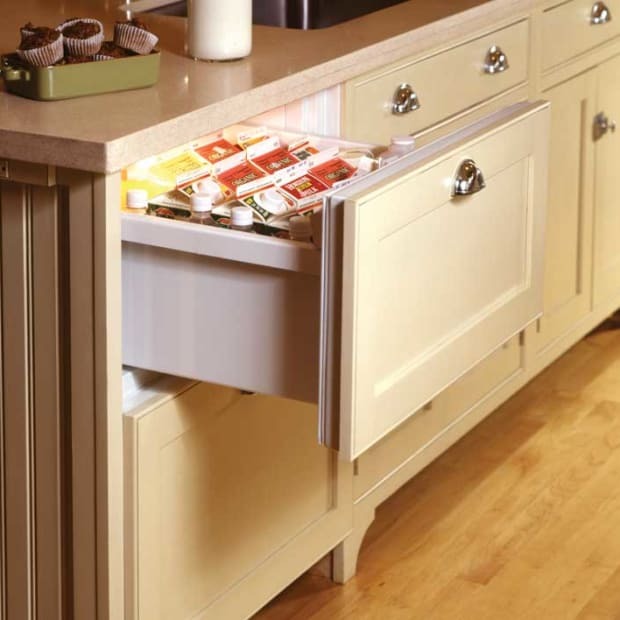 A more recent option is using refrigerator and freezer drawers, perhaps in concert with an under-counter unit or backup fridge. The drawers virtually disappear into the cabinets. 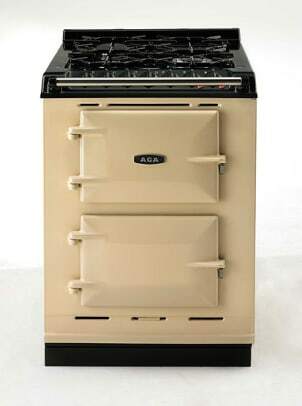 Vintage stoves from any era can be made serviceable and safe. (Regulating oven temperature is often tricky, and it’s hard to find replacement parts and service). 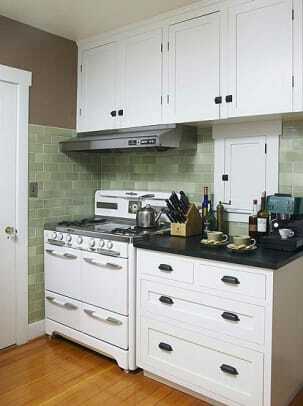 A variety of modern-functioning stoves emulate (even reproduce) old styles. 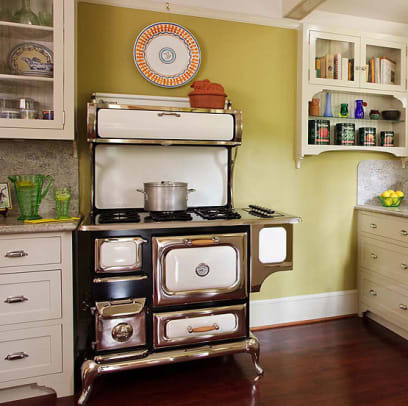 Enameled AGA cookers and ruggedly utilitarian commercial ranges are timeless and blend in. 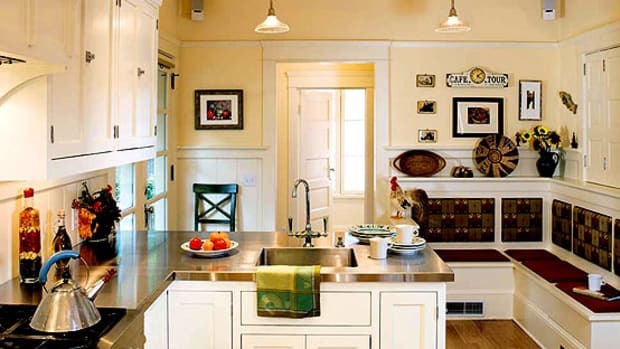 Another option: a period hood over a simple cook-top within the countertop, and a built-in wall oven on a discreet wall. 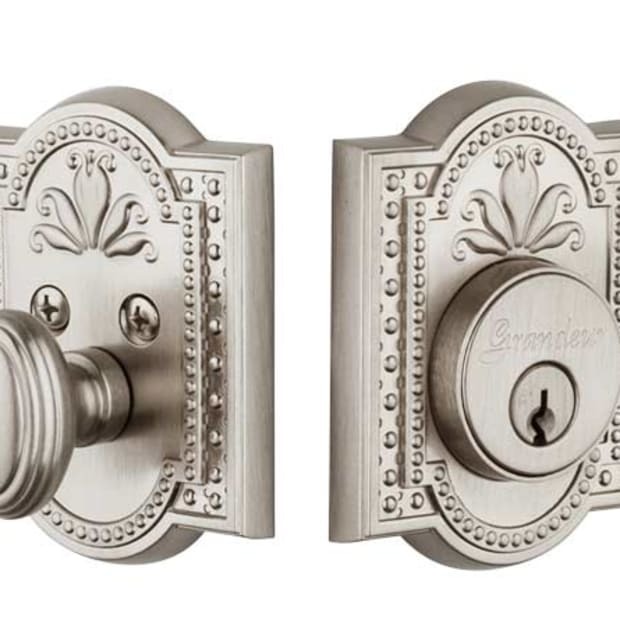 Because they are counter height, these have long been disguised in cabinets. 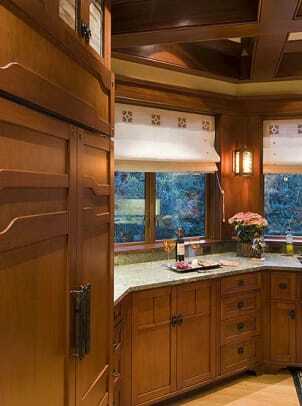 The DW can push back into a hidden niche in the wall if cabinet depth is less than 24 inches in a period kitchen. Newer high-end DWs are fully integrated, with no control panels visible. And again, dishwashers in stacked drawers are available. The Literal camp tries to conceal technology. The Interpretative approach acknowledges the microwave oven and the dishwasher. 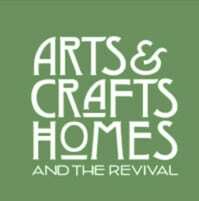 Ten years or more have passed since the Arts & Crafts Revival introduced handsome, practical new kitchens based on those of the first quarter of the 20th century. 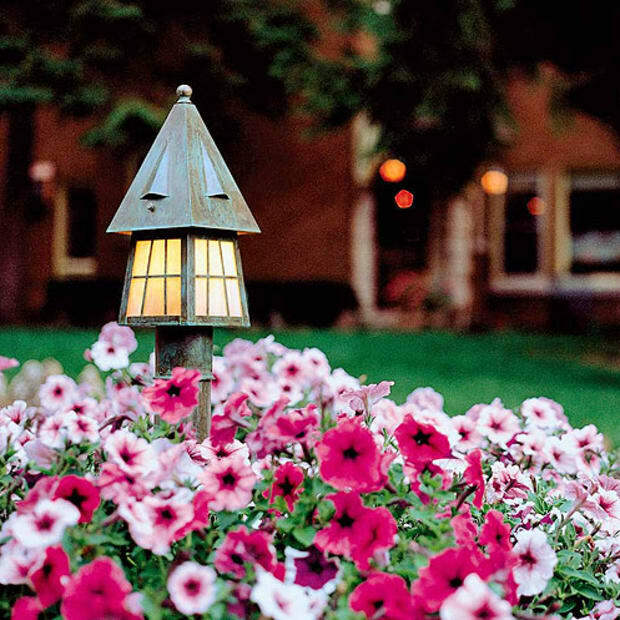 Here are the elements and designs that inspire us today.